Simone McCormick is a partner in the Portland office of Lewis Brisbois and is a member of the Data Privacy & Cybersecuity and Labor & Employment Practices. She has extensive experience representing businesses and professionals in commercial litigation, professional liability, privacy, and employment matters, in state and federal courts, as well as in administrative proceedings. Simone holds the ANSI-accredited Certified Information Privacy Professional (CIPP/US) designation from the International Association of Privacy Professionals (IAPP), and she assists individuals and corporations in data incidents, which include forensics investigations, multi-state notifications of individuals and state and federal regulators. Simone also defends clients in privacy claims including litigation. She regularly advises clients on best practices for information privacy, data security and risk assessment and specifically tailored policies and procedures; she prepares Business Associates Agreements, and conducts contract reviews as well as management/Board/employee trainings. 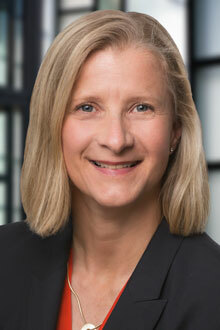 Simone has represented clients in a broad range of employment matters in state and federal courts as well as in administrative proceedings including claims for discrimination, retaliation, wrongful termination and whistleblowing, wage and hour (rest-breaks, overtime, exemption classification, independent contractor/employee designation). She routinely advises employers on employee matters including policies/ procedures, disciplinary actions, hiring, and termination. Simone also assists clients in re-structuring, contractual matters, preparation of specifically tailored policies and handbooks. She conducts internal audits, trainings, and investigations. Simone serves on DRI’s Cyber Security and Data Privacy Committee and the Women in Business (WIB) Committee of the German American Business Association. She previously served as chair for the 2017 DRI Data Privacy and Cyber Security Seminar, was a member of the Paralegal Program Advisory Committee of the City College of San Francisco, and she served on the Board of Directors for the German School of San Francisco. Simone was also a co-founder and former member of the Board of Directors of Kinderhaus, and co-founded and served as Advisor for Kids Nature Adventures LLC, a San Francisco-based nature summer camp for children.